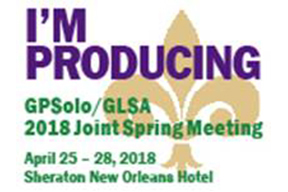 On April 27, 2018, Florence presented at the GLSA Spring Conference in association with the American Bar Association a program entitled, “Beyonce’ Only Has 24 Hours in the Day, Too.” There is a popular meme that states, “You have as many hours in the day as Beyonce’.” They are simple words meant to uplift and inspire and tell us that we can all live to our full potential, Like Beyonce’, we have the freedom to define our law careers and take mindful and intentional actions to make our days better. Although we are not living glamorous lives, there are a few hacks we can take from Queen Bey. The seminar included time management and attorney wellness tips based on Beyonce’ as a guide and also included a section for legal assistants and paralegals to help their attorneys manage their calendars.